He needed to. The film he had just finished, The Idiot had been released by the studio Shôchiku in a savagely cut version (from 265 minutes down to 166) and was far less popular and less critically acclaimed than earlier films such as Drunken Angel and Stray Dog. It was an especially acute blow coming on the heels of his last film, had so confused the head of Daiei—the studio where it had been made—that he had walked out halfway through the screening. That earlier movie, a period film with the first nonlinear narrative ever found in a Japanese film, had enjoyed moderate box office success and—despite the confusion it induced in some—a moderate degree of critical acclaim. But with studios unhappy with two consecutive films and with no studio for his next project, Kurosawa had little to cheer him. Even fishing failed to help, since he broke his only line, which forced him to give up and head home. He is also among the most influential directors in the history of cinema and his worked spanned fully five decades. His first film, Sanshiro Sugata in 1943 was the work of an instantly mature director, and while most of his greatest films were made in the ‘50s and early ‘60s, he was making interesting films into the 1980s. Indeed, an astonishing set piece in the 1985 film Ran, detailing the destruction of a huge castle constructed solely so that it could be destroyed, is a masterful scene of enormous virtuosity. The director was 75 years old. To most outside of Japan, Kurosawa is synonymous with Japanese cinema. He was the first Japanese director whose films were remade in Hollywood and elsewhere, The Magnificent Seven and A Fistful of Dollars finding their roots in Seven Samurai and Yojimbo respectively. George Lucas has stated that the narrative structure of the first Star Wars film was borrowed from Kurosawa’s 1958 film The Hidden Fortress. It was an artistic debt Lucas later repaid his debt by—along with fellow self-proclaimed Kurosawa disciple Francis Ford Coppola—helping Kurosawa get funding for Kagemusha when no Japanese studio would provide financing). 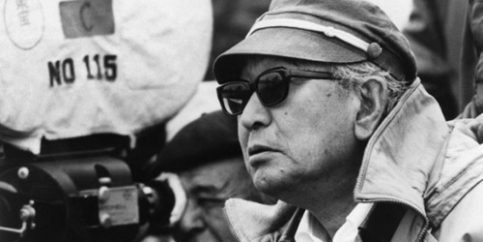 Akira Kurosawa was born on March 23, 1910 to a father descended from a long line of samurai and a mother from a merchant background. Despite his father’s militaristic background, he was a surprising individual in many ways, not least in that he took his family to the movies at a time when it was widely despised popular art form among the more refined classes. He was also a sports enthusiast who did much to promote baseball and swimming in Japan. When a young Akira expressed an interest in kendo, a school of Japanese swordsmanship, his father encouraged him to pursue it, but urged him to also study calligraphy. Great things were expected of Heigo, but after he failed in his qualifying exams, he began to drift, though he eventually found fame of a sort as a benshi in silent film theaters, something for which there was no equivalent in American and European theaters. The benshi served in part as a narrator to each film, but there role involved far more than merely reading the title cards. They performed possible dialog, explained what was taking place, and were thought to add significantly to the film being viewed. Heigo took it upon himself to educate Akira carefully as a film aficionado, and there is little question that he exerted enormous influence on his younger brother’s understanding of film. Akira was devastated when Heigo and his girlfriend committed joint suicide. The reasons for this tragedy remain unclear—it may have been out of despair at the advent of sound films, which made the benshi irrelevant, or there may have been other reasons, but Akira claimed that his brother always insisted that he would die before he was thirty. He was twenty-eight when he died. Always uncertain of what he wanted to do for a living, for a while Akira entertained the idea of becoming an artist. He failed, however, to gain admittance to art school and he was unable to buy oils and canvasses due to a shortage of funds. He nonetheless worked diligently in watercolors and had one of his paintings displayed at a major Tokyo art exhibition. He later did some illustrative work for a Communist publication during his brief, though not particularly ardent, period of political activity in the mid-thirties. Lacking a job or any real prospects, Kurosawa happened to read an ad by P.C.L. Laboratories—which would later become Japan’s famous Toho studios—calling for applicants at the studio for assistant directors. Thinking it might be interesting work, Kurosawa applied on a whim. He made an impact, though not necessarily a positive one, on his interviewers when, after being asked ways to overcome the fundamental deficiencies of the Japanese films, he confessed in a half-making reply that if the deficiencies were fundamental, there was no way to correct them. Despite, or perhaps partly because of, this odd answer, Kurosawa was hired and, from this inauspicious beginning, embarked on one of the most remarkable directorial careers in history. The Japanese film system at the time involved very long periods of apprenticeship during which assistant directors learned the business and craft of filmmaking. Although he at first worked with a director he intensely disliked, Kurosawa soon started working regularly with Kajiro Yamamoto, to whom Kurosawa would remain permanently grateful, always referring to him as Yama-san, even in his eighties and a world-famous director. Although a fairly minor director whose main claim to fame was a string of light comedies with the famous comedian known as Enoken (he would appear in Kurosawa’s early film The Men Who Tread on the Tiger’s Tail as the Porter) as well as some WWII war epics, Kurosawa found in Yamamoto the perfect teacher. Yamamato taught Kurosawa every aspect of filmmaking and allowed his pupil to edit films, even when it meant that the end result was a film that suffered due to Kurosawa’s learning on the job. Yamamoto encouraged Kurosawa to write screenplays as a way of better understanding filmmaking, and he won a number of writing awards, as well as selling a number of them to other studios. By 1942 Kurosawa had little more to learn as an assistant director and was ready to direct his first project. He found it difficult to find a suitable project for his first film, primarily because the military board that oversaw film production severely limited the range of films that it was possible to make during the war years, the first skirmish in conflics between himself and the people responsible for producing his films that would mark, and arguably mar, Kurosawa’s career. Kurosawa’s hatred for the military censors was undying. He would express how repulsive he found them forty years later in Something Like an Autobiography, where he recounted an incident of a line in a screenplay being deemed obscene, the line mentioning how a factory gate “waited for the student workers, thrown open in longing”. Kurosawa writes, “For these people suffering from sexual manias, anything and everything made them feel carnal desire. Because they were obscene themselves, everything seen through their obscene eyes naturally became obscene. Nothing more or less than a case of sexual pathology” So much for time healing all wounds. Eventually, however, Kurosawa was able to gain approval to make a film based on a newly published novel, which resulted in Sanshiro Sugata. The film is a work of startling brilliance, nothing like what one normally thinks of as the work of a first-time director. Many of the marks of his mature work are already there at the beginning and a number of scenes are quite striking. Like Athena born full grown out of her father Zeus’ head, Kurosawa was an artist of considerable talent and skill from the very start of his career. One scene in particular shows the kind of brilliance the cinematic world would become familiar with in decades to come. The title character has seen a judo master easily defeat the entire jujitsu school at which he had hoped to become a student. Appealing to the judo master to become his disciple, he takes over as rickshaw driver to take him to his destination, tossing aside his wooden shoes in order to do so. The camera pans down from the face of the teacher to the wheel of the rickshaw, which passes one of the shoes, which the camera remains focused on. We then note the passage of time by watching a series of incidents involving the shoe. We see a number of pedestrians walking past it, ignoring it. We see the shoe lying in the mud during a downpour, the first of an almost endless number of heavy rains to be seen in Kurosawa’s films. We see a puppy chewing on it and using it as a toy, then the shoe hanging from the spike of a wrought iron fence, and finally lying in a small stream and then flowing into a larger one, which flows past a brightly lit street in which Sugata is fighting and defeating members of a large crowd, the passage of time for the character being measured in the events of his cast offs. Although now a highly praised director, Kurosawa would not be in complete control of his own films for the next five years. Japanese military censors, American occupations boards, and union boards at Toho would all limit the degree to which he could make films precisely as he would like. During this time, Kurosawa made a string of films—The Most Beautiful, Sanshiro Sugata II, The Men Who Tread on the Tiger’s Tail, No Regrets for Our Youth, and One Wonderful Sunday—under severe restrictions. Only with his seventh film, Drunken Angel, that Kurosawa would gain a degree of independence and make the kind of film that he truly wanted to make. With that film began his period of greatest creativity, beginning in 1948 and continuing until 1965, during which he would make many of the greatest films in the history of cinema. 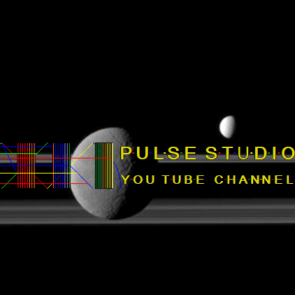 Posted by world.pulse on 18. May 2018.. Filed under Akira Kurosawa,Movies. You can follow any responses to this entry through the RSS 2.0. Both comments and pings are currently closed.